I’m a competitive person. I love tracking my results against other people or even against myself. In college I used to drive the 11 hours from my home to my dorm with minimal stops to try to beat my time each trip. When I run in the morning, I want to go just a little bit further with each run, even if it cuts into my writing time. When I set a word count goal, I’ll leave a wreckage of butchered words as my fingers fly across the keyboard. I want to grow and improve. Why wouldn’t I want to get better at things I care about? Now, if there’s one thing I care about, it’s Christianity. Heck, I plunked down thousands of dollars and untold hundreds of hours into seminary for four years. I wanted to get better at studying the Bible, praying, and doing Christian-ish things. I was always measuring my progress. I wanted to grow spiritually. I wanted to know I was doing better from one year to another. And good heavens, I burned out. I burned out over a lot of things, but in retrospect, I can see how the concept of “spiritual growth” tapped into the worst parts of my competitive drive. Am I sinning less this year compared to last year? Do I know the Bible better than last year? My constant need to measure fits in well with our Christian subculture that recognizes the blessings of God and the gifts of individuals based on the dollars they raise and the numbers they lead in salvation prayers or baptize. The larger your church, the more influence you’re afforded. Measure, measure, measure. 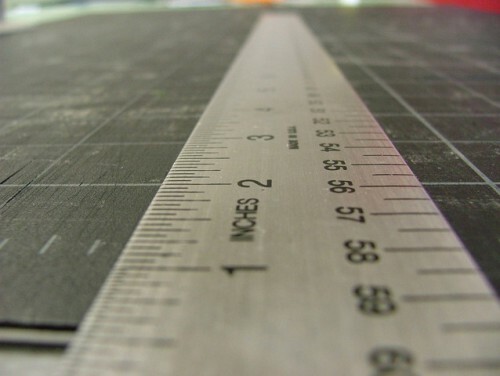 We measure everything, all of the time. It’s no wonder we fall into this trap when it comes to judging whether we are spiritually healthy or not. As I’ve confronted my own measuring mania, I’ve tried to move away from the language of spiritual growth. I don’t want to know if I’m getting better or improving or providing some metric of my spiritual awesomeness. The truth is that I could pray a lot or improve my Bible knowledge and still be a wandering, self-centered mess without direction. Speaking of direction, spiritual direction is just the sort of thing we need to talk about instead of growth. Let’s talk about where I am and where you are right now and which direction you’re moving in. We could also speak in terms of temperature, being hot or cold. Jesus spoke in terms of abiding on the vine. If we abide in him and he in us, the life of God will be evident. Our direction or proximity tap into this idea of abiding. What if we ditched the language of spiritual growth in favor of spiritual proximity (close or far, hot or cold) or spiritual direction? Are we living close to Jesus? Are moving in step with Jesus? Are you close enough to Jesus to know whether or not you’re moving in step with him? These have been helpful concepts for a performer like myself who will endlessly beat myself up for failing to attain certain spiritual growth goals. I can lose my connection with God as I focus on my weaknesses and supposed distance from God. The past two weeks have been really full with tired kids and lots of additional work. Sleep deprivation from kids is nothing new. I’ll also never complain about having a lot of work to do. However, as I took stock of my direction and considered my spiritual “temperature,” I honestly had no idea where I was pointed. I felt like I was just running from one thing to another. As I considered my temperature, I felt the chill of being far from God’s presence. I hadn’t cleared very much space for God over the past week, and I felt the lack in my soul. As I consider that we could “lose our souls” in the midst of busy schedules, I took more intentional steps to create space over the past few days for abiding, prayer, and meditating on scripture. I wasn’t measuring anything. I just tried to be present for God. I skipped the part where I beat myself up for being a spiritual slacker. I didn’t lament that I’d lost ground in my race to grow spiritually. I reoriented my life. I shifted my priorities. I changed how I spent my time. As I stepped into greater awareness of the state of my soul and the presence of God, I felt the crazy of the past few weeks buzzing through my body. The residual anxiety that had followed me throughout each day finally emerged. As I turned off the highway, I realized that, for the first time in several weeks, I was completely at rest. I wasn’t buzzing with anxiety. I wasn’t worried about anything known or unknown. Mind you, I can flip that anxiety switch on in a second. It doesn’t take a lot. However, it was a relief to know that a few days of attending to my soul and more actively creating space for prayer and devotion could actually result in God changing the direction of my soul. Before I realized what I was doing, I naturally resolved to make myself feel even more relaxed and at peace with God tomorrow. Ed, great reminder for all of us! This helps me when I realize I’m looking for acceptance and approval in the wrong way. And, Mary at the feet of Jesus, choosing “the better” thing. I like the picture that Jan L. Richardson uses of the spiritual journey being a spiral. We cross the same thresholds again and again. This is so counterintuitive to the cross-it-off-the list, achiever mentality to faith. I love the reminder to “be”. Thanks. I needed to read this. Thank you so much for sharing.